How-To Can't Wait to Sew It! Sometimes, (to be honest for me it's all the time), you just want to get in there and sew. I enjoy the planning and designing, but could do without the cutting and measuring. That is exactly how I felt when I got back from the AQS show in Paducah, KY. I just couldn't wait to sew a quilt. 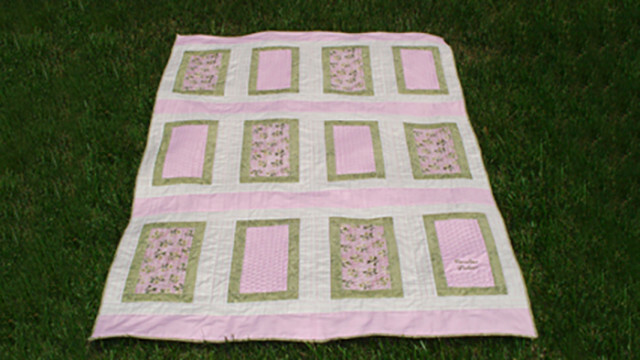 I'm a beginner quilter and have not taken any quilting classes. I've sewn for years and have decided on the self-taught route through quilting books and magazines. So, this method works for me because I have no hang-ups about quilting and good enough is good enough. Perfection will possible come later after years of trial and error - some of us just need to learn the hard way! 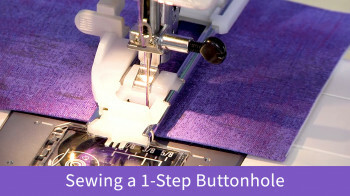 To get to the sewing as quickly as possible, I cut as few pieces as possible to get started. For this quilt it meant the center blocks and 2" border strips and 2-1/2" border strips which are cut to the full width of the fabric. With the full length of the strip, sew with a 1/4" seam to the length center piece leaving about 1/2" above the top and 1/2" beyond the bottom. 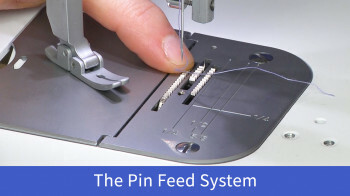 This allowed me to sew on the pieces without pre-measuring all of the sections. Next I pressed the seams and squared up the piece with a rotary cutter and straight edge. Continue with this same process on the opposite side of the center piece, until the block is finished. Now I was sewing and creating quilt blocks without pre-cutting all of my fabric. This satisfied my need for instant gratification! 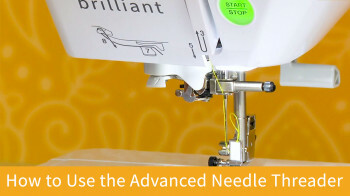 Another tip about quilting is to use the decorative stitches on your sewing machine to do the actual quilting on your project. On my Baby Lock Esante, there are many to choose from. On this quilt I experimented with three. Two worked beautifully, but one not so well. However, I made it work and I was not disappointed in the end result.